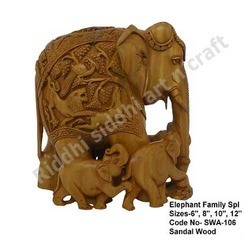 Providing you the best range of sandalwood elephant family, elephant family statue, sandalwood elephant carving, sandalwood craft elephant statue, elephant carving tr-up nail fitt and pen stand with effective & timely delivery. 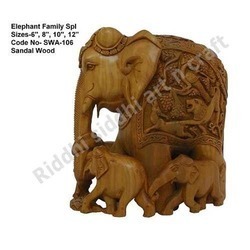 We here present a huge collection of Sandal Wood made Elephant Family Statue set with father, mother, brother and sister, with father and mother figure being taller than the rest. This beautiful collection is so adorable that you cannot let it go once seen. 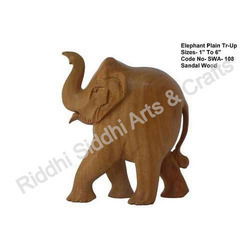 These are made from super fine sandal wood and are handmade with several detailing for making it look livelier. 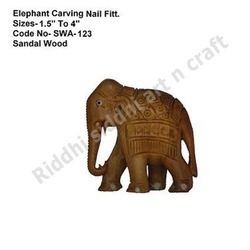 We are engaged in offering wide range of Sandalwood Craft Elephant Statue. 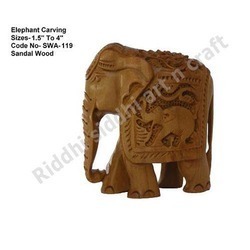 options are carved and crafted using precious sandalwood that make these an exclusive crafted piece that can be used as a center piece at your home and office desks. 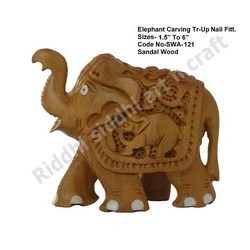 The crafting of these pen holders is done by our experienced craftsmen and can be also made available in hand painted finish so as to further enhance the finish value of these decorative yet high utility value based crafted pieces. These are also best choice as executive gifts and can hold different sizes of pens and pencils, thus perfectly serving the utility purpose at offices or at homes. 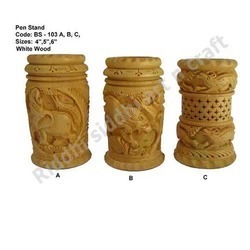 The intricate carving done on these pen stands also make these highly popular among our clients.